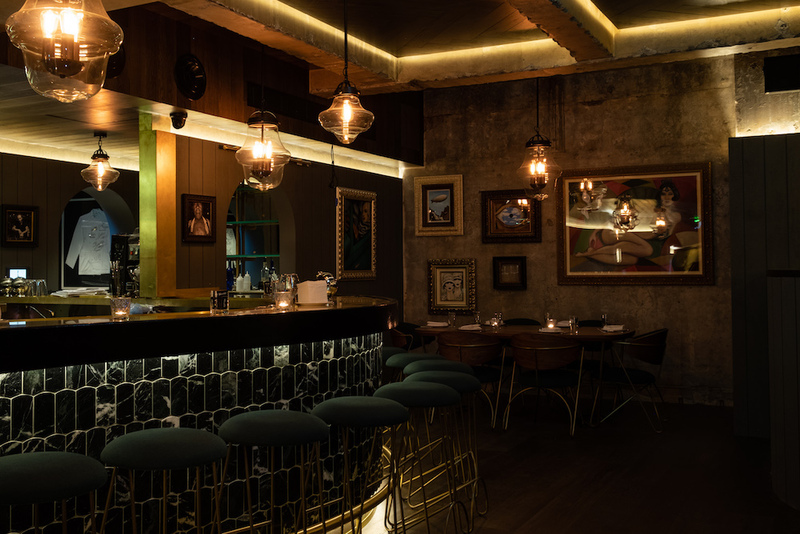 Drinks World recently caught up with Dushan Zarić, Founder of the famed Employees Only bar in New York, who is in town in the lead up to the opening of the Employees Only in Sydney this weekend. In the 6th iteration of the EO brand, the Sydney outpost comes at a perfect time to add a bit of spice to the late night, high-quality venues in the CBD. 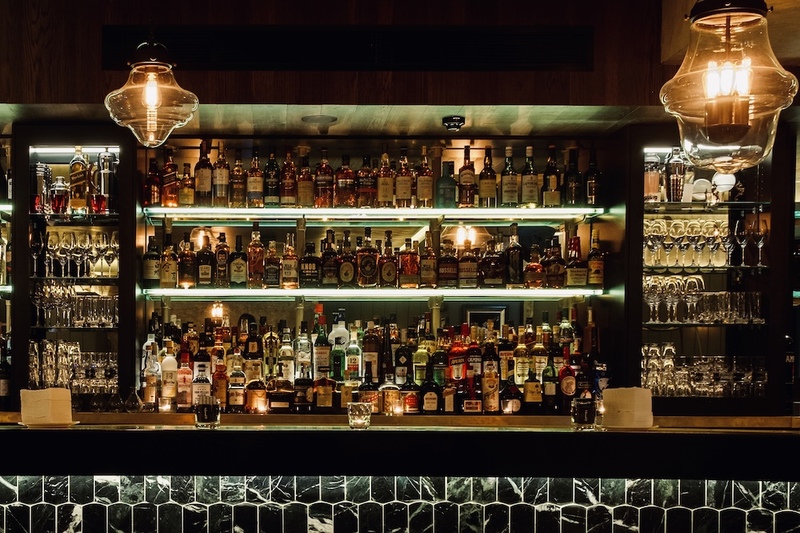 With signs that the draconian lock-out laws and late night curfews in Sydney being lifted and things headed back to normal, the opening of Employees Only could become the hospitality focal point around which the bar community can rally. When we asked Dushan about the way the journey has unfolded from the beginning, he mentioned that in the early days he had dreams of creating an international brand an passing it on but things didn’t exactly go according to script and that “it worked out that I got what I wished for and in a way that was very grassroots and very organic and actually looking back I wouldn’t change a thing. In reflecting on some of the recent cultural changes coursing through the industry, changing it for the better, making it more inclusive and addressing the issues that he can control, Dushan said, “I’ve have taken a very deep look into my responsibility for the perception of gender equality issues in our industry and I have realised that I had not recognised at that time that there was a ‘bro’ culture that was building and that it was tribal and innocent, it was not malicious, it was just self-empowering, and it was a tribe of young men full of testosterone who worked really hard and liked to play really hard, which is what they did. I had not recognised it as dangerous or potentially crippling for business and all the people that depend on it, but that’s my responsibility, and I take it, and I own it, and I’ve worked very hard to change that culture and ethos and it has changed for the better which is a positive outcome. “I’m a type of man who’s very introspective in general, I have learned to look inside all the time and question myself and my narrative. I’m my own biggest critic, constantly asking myself is this my narrative? Is it something influenced through my upbringing and my childhood? Is it cultural or is it something that I deeply feel is right or wrong? This has helped me transition my thinking from frustration or resentment to a position of positivity and forgiveness of myself and others. Drinks World asked him that as an influential bar mentor he must have seen the industry grow, evolve, change, and reinvent itself. Where does he think we currently are in the cycle of achieving drinks perfection? Dushan was quick to comment that “I think the whole striving for drinks perfection is unrealistic because it’s perfection in what sense? 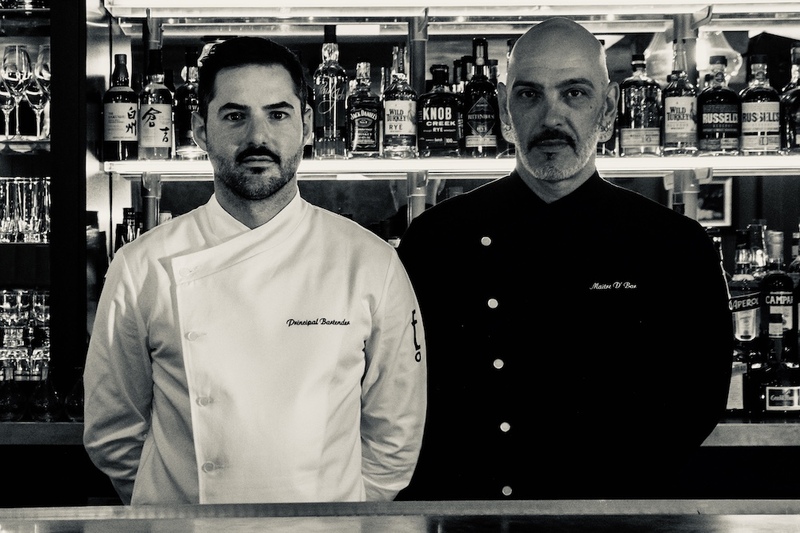 Is it in a gastronomical sense, pairing cocktails with food? Or is the perfection in the drink itself? Is it in the perfect temperature, dilution and measurement? I don’t know if that’s something that’s actually even possible. I always like to repeat that to people who try to formalise something that is creative. Some people spend all day long to put our lives into formulas so we can have less of these unknowns! “If it was all about that perfection then a robot would do our job much better than us. There would be so many benefits of hiring a machine if it was all about drink perfection. But it’s not. There is so much more than that. It’s the human hospitality that makes the difference. It’s not the technical side I’m interested in because I know from my experience that every bartender tastes differently, just like every guitar player plays differently and has their own sound, every painter puts their emotions on the canvas according to how they see things – its their own personal ‘flavour’. I encourage that in my bartenders! That, I think is the next level. In reflecting on the current state of the global drinks industry and how the top bars in the world try to stand out from each other he said, “Today you can go to Bulgaria and have a cocktail in Sophia and it will be as good as anywhere in the world. The ingredients are available the knowledge is there and the internet has opened up the information exchange to such a degree that it’s like everyone knows how to de-hydrate pineapples! What I mean is that now with craft cocktails and executing them at a very high standard is now actually standard, it’s something that people expect now and it’s no longer extraordinary. When we asked him what the over-arching ethos behind the EO drinks and service philosophy is, Dushan was quick to say that, “Our ethos comes from the idea of a lineage. If I’m learning just how to make drinks, I can do that from books and Youtube. For bartending you need a teacher because you have to learn what not to do. So what we did is we created an Apprenticeship program, and all our staff go through that process to set a benchmark. We tell them that the ego can be hurtful and you have to be vulnerable enough and courageous enough to let us guide you. “We then have the responsibility to make it right and to do the right thing by you so that you pass on what we taught you in the lineage to the next person. I have my former apprentice Robert Krueger here to run the Sydney outpost. He went through all the tiers from apprentice to bartender to principal bartender and bar manager, had his own place in Brooklyn and is now being called back into the family to be given his own shot at being an owner. So our ethos is more about something you do, you don’t talk about it much, you just watch, listen and learn.” Yes sensei. 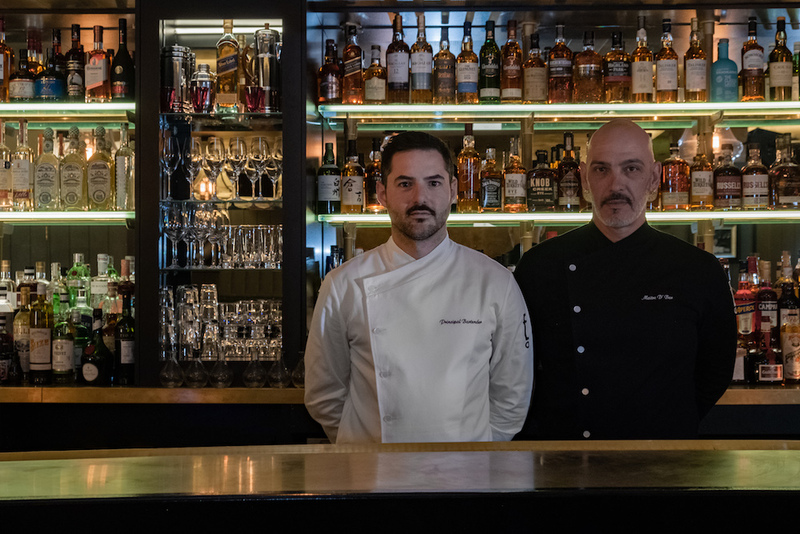 When asked about the right mindset for success for a bartender wanting to break into the industry today, Dushan said, “I would advise anyone wanting to break into this industry to take it as seriously as learning to be a Doctor or Lawyer. It’s super serious. To be able to be of service to others is a rare privilege that not a lot of people enjoy doing and to be able to enter this world to see what benefits lay there for you, I guarantee you the satisfaction is huge. I also urge people to study themselves a lot and to know thyself.” That helps big time.